This week's View contribution comes from a fellow Pacific Northwesterner! 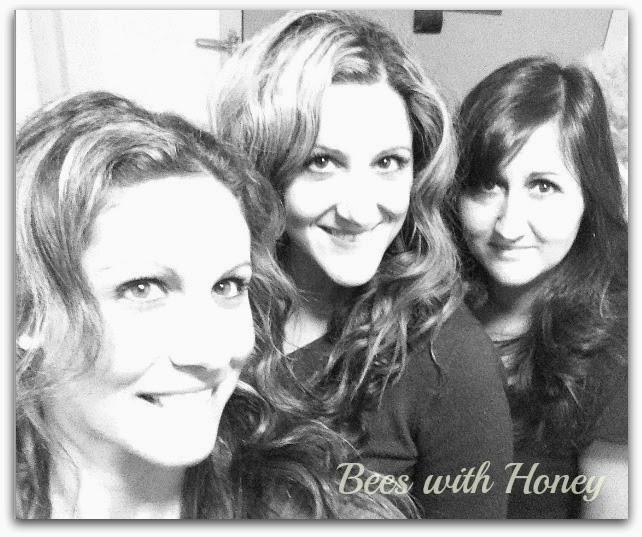 Bruna of Bees With Honey is a mom to three beautiful girls and a teacher. She is one who blogs straight from the heart, as you will see here. One of my favourite past times is listening in on the conversations of my youngest two as they play together. Listening to them create, command, perform and teach together warms my heart. Watching them play creatively and using their imaginations brings me back to my own childhood. Like my daughters, I grew up with sisters, two of them. We did everything together from sharing a room, swapping clothes, playing Barbies, making up games, hanging out with friends and fighting. As the oldest, I was the bossiest of the three but I was never unkind. Okay, well maybe once or twice I pinned Sister #2 to the ground and threatened to spit in her face, but for the most part, I really loved her. I was more than just her sister, I was also her friend. Now that we’re grown women, all three of us don’t always get the chance to be together as much as we’d like. Two of us are married with kids and one of us is still living the single life. We‘re waiting for baby sis to catch up and join the Mom club! While my sisters and I don’t think we look a lot alike, people know instantly when they see us that we’re related. Whether it’s the long dark hair or our rambunctious conversation, we tend to stick out like sore thumbs no matter where we go together. There is always something to bicker or laugh about. That’s just us. and bring each other down when we’re flying too high. I love them for who they are and am grateful to have them in my life. They are my sister friends. The best kind of friends to have. Have you hugged your sister today? I think it would have been awesome to grow up with a sister! But I don't have siblings, so I tend to see my best girlfriends as sisters. I put a lot of emphasis on those relationships. They feel like family.